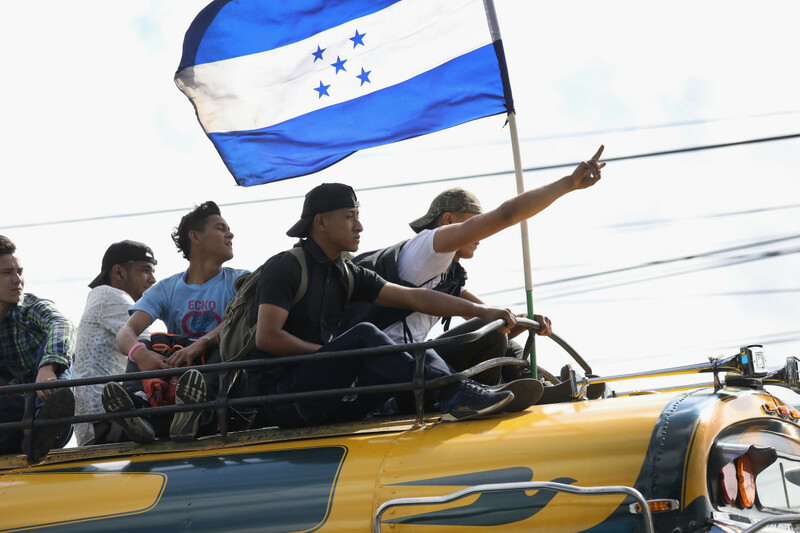 Viewfinder: Hondurans Head North to the U.S.
Migrants carry the flag of Honduras while on a caravan of immigrants en route to the Mexican border on October 18th, 2018, in Guatemala City, Guatemala. 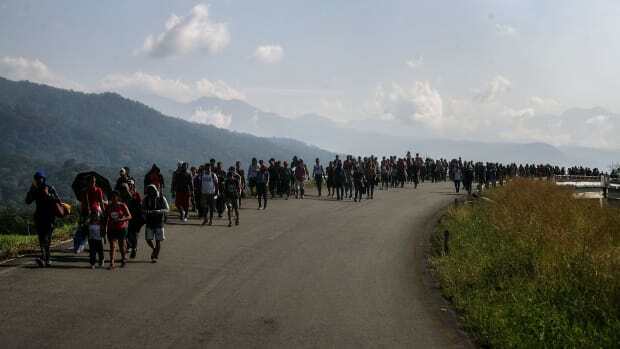 The caravan of thousands of Central Americans, most from Honduras, hopes to eventually reach the United States. 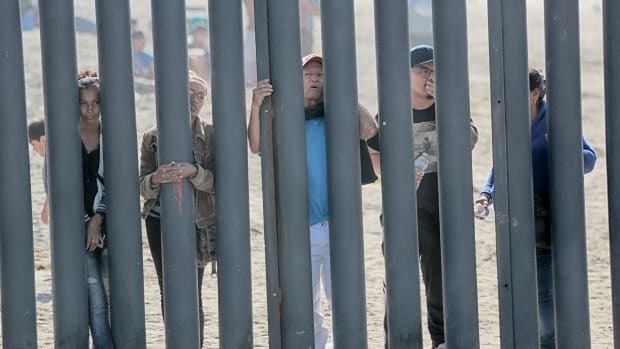 U.S. President Donald Trump has threatened to cancel the recent trade deal with Mexico and withhold aid to Central American countries if the caravan isn&apos;t stopped before reaching the U.S.
Honduran caravan members look through the fence at the United States–Mexico border wall at Friendship Park in San Ysidro, California, on November 18th, 2018. Members of a caravan of Central American migrants walk along a highway on their way toward the United States on January 20th, 2019, in Huixtla, Mexico. 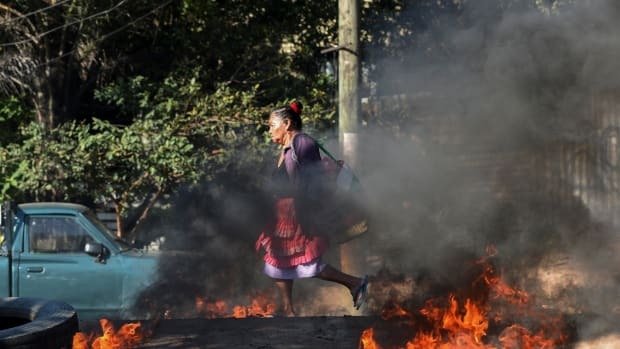 A woman walks through a roadblock mounted by supporters of the LIBRE opposition party in the El Carrizal neighborhood of Tegucigalpa on January 27th, 2019. 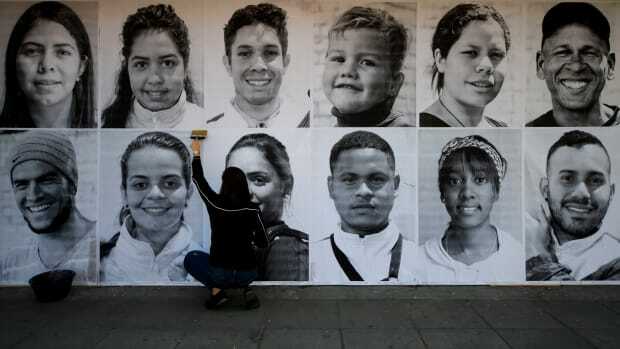 Portraits of Venezuelan migrants and refugees are displayed in Bogota, Colombia, as part of worldwide demonstrations in support of dignity for migrants for International Migrants Day on December 18th, 2018. 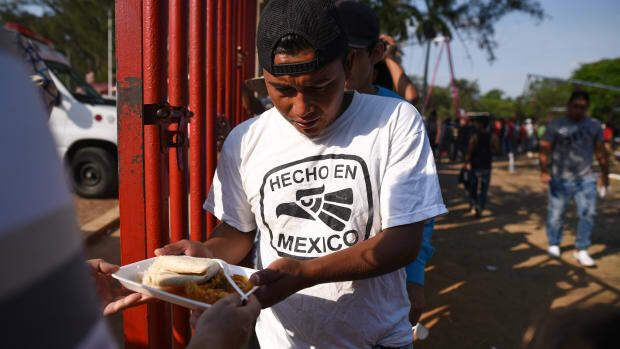 Central-American migrants taking part in the "Migrant Via Crucis" caravan toward the United States receive breakfast as they camp at a sport complex in Matias Romero, Oaxaca State, Mexico. 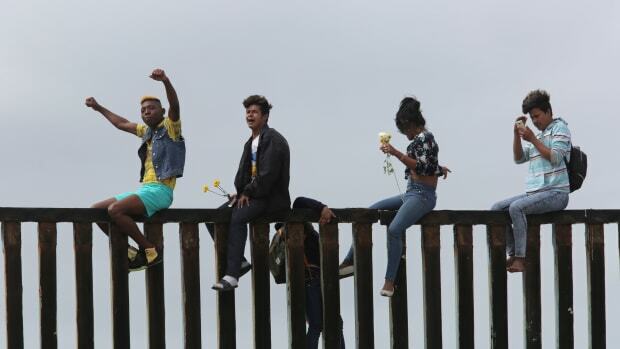 Pro-migrant caravan demonstrators rally on the Mexican side of the border wall on April 29th, 2018, in San Diego, California.